COMPETITION: Win return flights for two to Bergen – the gateway to the famous Norwegian Fjords! Win return flights for two to Bergen the gateway to the famous Norwegian Fjords! Bergen is a fun and charming city full of hustle and bustle all year round. An international city with small- town charm and atmosphere and also a World Heritage City and a European Capital of Culture – perfect for a visit in the autumn or winter. Enter our competition and you might be the lucky winner of return flights to Bergen with the Norwegian airline Widerøe, Scandinavia’s largest regional airline! Widerøe flies between Liverpool and Bergen on Friday and Monday, perfect for a long weekend by the Fjords! Bergen city centre is quite small and perfect for a stroll without a plan. The city has a mix of traditional wooden houses and brick buildings, as well as modern architecture – and of course – on the dockside right downtown you will find the iconic Bryggen. You can enjoy fish food, attend concerts, go shopping or on sightseeing to numerous interesting attractions – or you can seek to the mountains for a breathtaking experience. In fact, Bergen is a city with nature right on its doorstep. In only 6 minutes from the city center you can be on top on one of Bergen’s mountains. In Bergen, you get the perfect combination of nature, culture and urban lifestyle! Try your luck, and you might be the lucky winner of tickets for 2 to Bergen! Q: What is the name of Scandinavia’s largest regional airline? Then email your answer, with Wideroe in the subject field, adding your name, address and contact telephone number, to competitions@lep.co.uk to arrive no later than Friday October 26th. Standard JP competition rules apply. For full Wideroe terms and conditions, click here. The Promoter is Widerøe AS, Langstranda 6, 8000 Bodø, Norway (the Promoter). Each Entrant must be, on the date of submitting their Entry, 18 years old or above, resident in the UK and have a valid passport with at least 6 months’ validity remaining from the end of the Promotional Period. Entrants (or members of their families or households) must not be employees of the Promoter, its agents, or anyone professionally connected with this Promotion or its administration. The Promoter may require the Entrants to provide proof that they are eligible to participate in this Promotion. 1. There is one Winner who will get one Prize. 2. The prize is a pair of return standard Widerøe flights from Liverpool to Bergen, subject to availability and as further described below (Flights). 4.No other expenses will be covered. For the avoidance of doubt, the Prize excludes (without limitation) travel insurance, spending money, and transfers. 5. The Winner agrees to co-operate and provide all information necessary for the Promoter to arrange the Prize. 6. If the Winner cancels one or both of the Flights, no alternative or further Flights will be provided. 7. The Winner and their travel companion must travel together on the same Flights. 8. 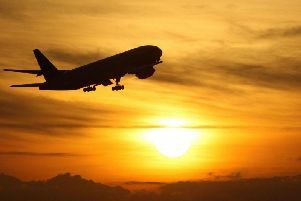 The Winner will be solely responsible for ensuring that they – and their travel partner – are able to travel, and that they hold a valid passport, any necessary visas and travel documents for the flights in question between the dates agreed. 9. The Flights must be booked at the latest 2 weeks before departure. Travel must take place within 12 months from the date of the Prize draw. The prize is not available between 13 May and 16 August 2019. 10. The prize is not transferable. 1. Insofar as is permitted by law, the Promoter, its agents or distributors will not in any circumstances be responsible or liable to compensate the Winner or the Winner's travel partner or accept any liability for any loss, damage, personal injury or death occurring as a result of accepting the Prize except to the extent caused by the negligence of the Promoter, its agents or distributors or that of their employees. Regulation EC261/2004 does not apply to Prize flights and no compensation will be payable in the event of flight delay or cancellation. Statutory rights are not affected.